Resolvers and Name Servers | The Daily Programmer '+g+"
The resolver code reads its system dependent configuration files to determine location of organisation's name servers. Multiple name servers are required for reliability and redundancy. The file /etc/resolv.conf normally contains IP addresses of local name servers. 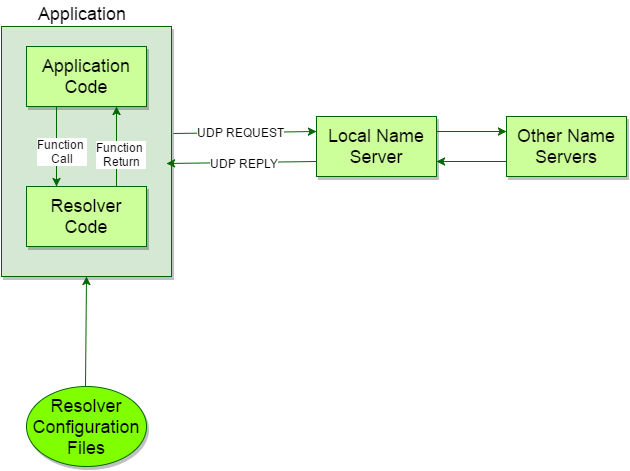 Resolver sends query to local name server using UDP. If it does not know the answer, it will normally query other name servers across the internet, also using UDP. If the answers are too large to fit in a UDP packet, resolver will automatically switch to TCP.